Bathroom time at a village creche. Sponsorship needed for toilets. 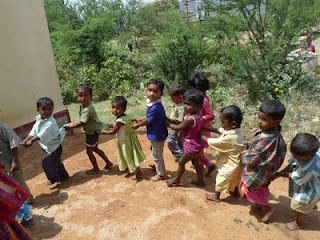 Here you see the village children at a creche going to the front yard for their bathroom time, as there are no toilets. Read how you can sponsor toilets here. Starting work in one more creche and new supplies. Thank you to Susee Group, Madurai for donating these supplies for a creche. 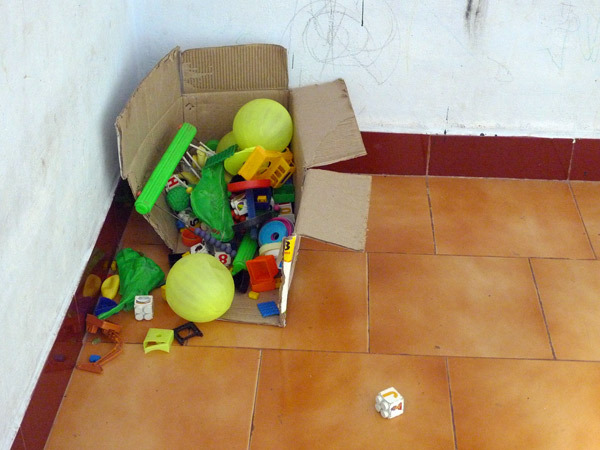 We have been able to start working in one more creche, in Edyapatti, thanks to these supplies. BEFORE: The creche only had the following items for 30 children before. 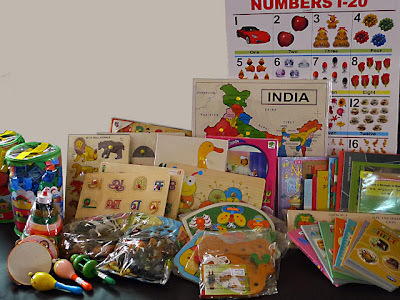 AFTER: Some of the lovely educational items donated by Susee.